Meet one of our regular stallholders, Cathy. How fortuitous for Tassie that Cathy made a lifestyle choice to move from Sydney mid-last year. Her sea change has meant we have an enormous selection of designer labels and other classy brands to choose from. Cathy’s shopping trips to the mainland make for an all-too-tempting collection. I have certainly succumbed to my fair share of temptation! If you’ve wandered her stalls you’re likely to have done so too. 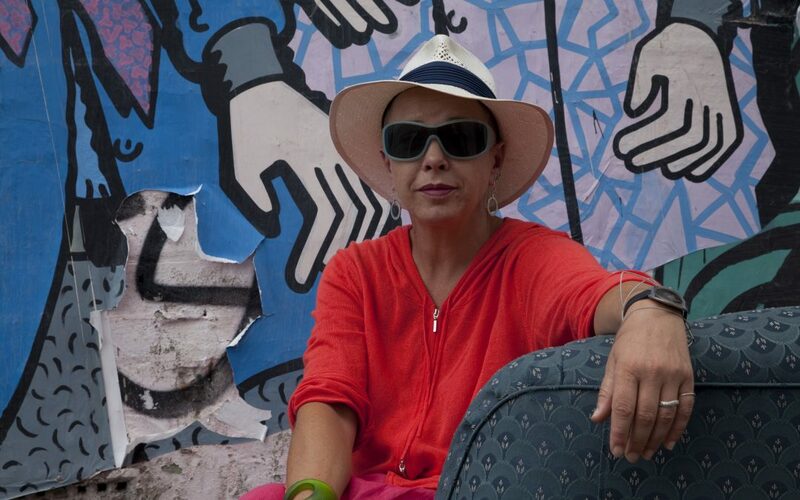 Cathy’s relationship with clothes, and her love for preloved fashion, started when she was a young girl spending time around her father’s clothing business. Many afternoon’s after school were spent watching and learning until she commenced down the fashion retail path herself. Cathy ran a clothing business on the mainland for years until she decided to move to preloved fashion. Cathy’s Dress Up came to life as a little shop operating for several years in Hurlstone Park hidden around a corner, down an alley, and behind a café near a train station! 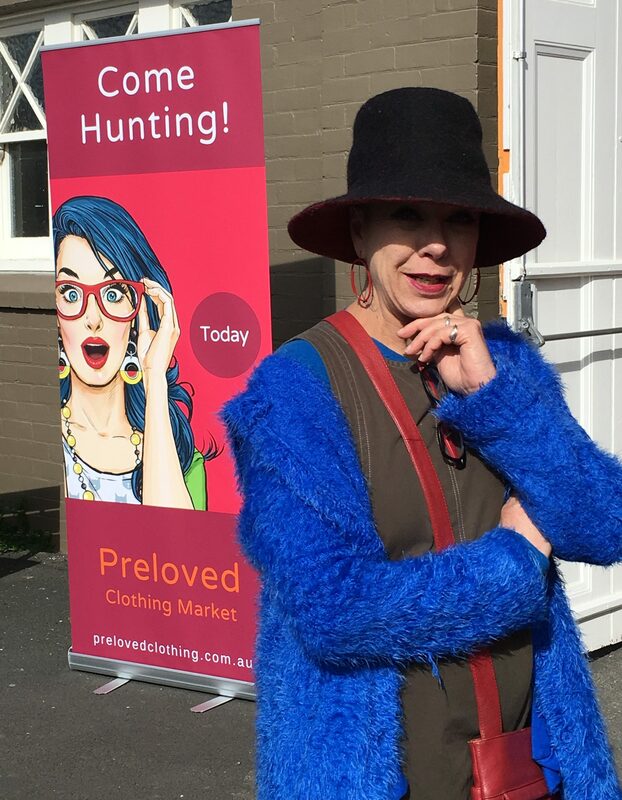 Shoppers found her though – any passionate preloved fashion hunter worth her (or his) salt knows how to unearth the good finds. And, this was coined the best little second-hand designer clothing shop you never heard of! 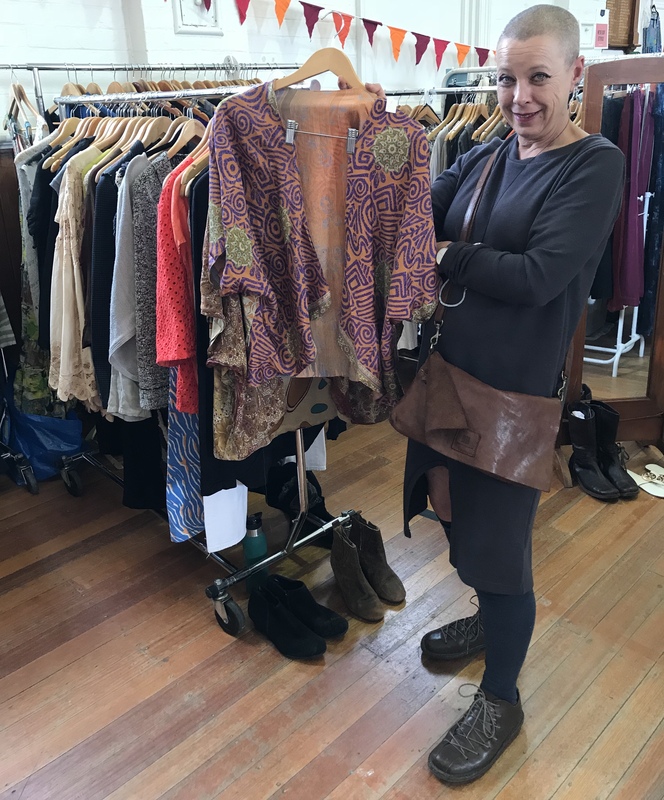 Now Cathy’s become a local in Southern Tasmania and joins our market regularly with her fab collections. You can’t miss her amazing stall of goodies. Be warned though…you’re bound to walk away with something!